Yukon Supreme Court Justice Leigh Gower has died after reportedly suffering a medical emergency over the weekend. Yukon Supreme Court Justice Leigh Gower is remembered by people as an outstanding, thoughtful judge who cared deeply about his work. "He wrote fabulous, logical, lengthy judgments that he worked extremely hard on," said Chief Justice Ron Veale, the Supreme Court's senior judge. "You won't be doing any cases for the next 10 years, where someone doesn't call up a Judge Gower precedent." Gower died Monday after a medical emergency over the weekend. Veale said the news has shocked Yukon's six judges and the staff in their offices which he calls a "very tight-knit group." "Everybody's reeling, it's a very emotional time," Veale said. Gower was raised in Alberta and earned his law degree from the University of Saskatchewan in 1984. He went on to practice law in Yellowknife, including acting as Legal Aid defence counsel on territorial court circuits, for several years before moving to Yukon in 1991. Beyond the courtroom, Gower stayed active outdoors and occasionally acted in local theatre productions. 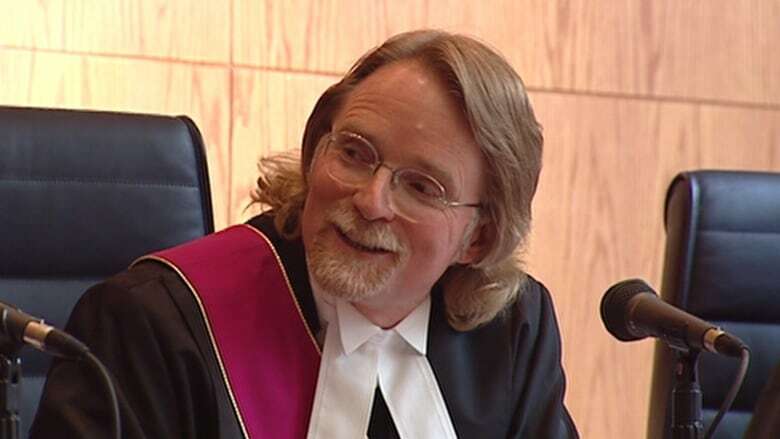 Sunday was the 15th anniversary of Gower's appointment as justice of the Yukon Supreme Court. "His rulings were very well thought out, very strong on the law," said Mark Wallace, president of the Law Society of Yukon. "Beyond being a judge, he was a gentleman." Wallace didn't know Gower personally, but believes his legacy will be in his rulings, which he says moved legal reasoning within Yukon forward. "Sometimes, because of that, his decisions were appealed," he said. "What I remember most about him was his vast knowledge of the law, not just statute, but case law. If you were arguing a point before him, he would quite often direct you to other cases that you may never have considered and ultimately when you would look at those cases, they were all on point." According to Veale, Gower's last written decision will be issued soon. Other than that, Veale said there are no loose ends and any cases Gower was set to hear will now go before one of the court's deputy judges. "We're crushed by the news," says Speaker Nils Clarke, who described Gower as a "longtime colleague and friend to many ... in the chamber." In a statement, Yukon MP Larry Bagnell called Gower a "sharp legal mind" who will be missed by his colleagues. Shayne Fairman, a Whitehorse lawyer, remembers Gower as an "outstanding" judge. "[He was] very measured, very reasoned in his decision making," he said. "I very much enjoyed appearing in front of him, and I knew that he would take every case very seriously ... It's a very sad day."